Believing These Direct Sales Myths Prevent Success in your business. Believing These Direct Sales Myths Prevent Success in your business. Certainly myths can keep you from growing your business. Are you a newbie to direct sales? The key aspects of this post is to share some popular myths which can cause set backs for you. 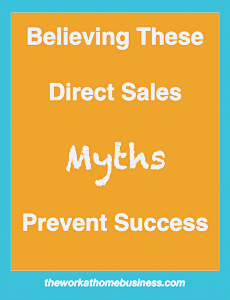 Undoubtedly, Believing These Direct Sales Myths Prevent Success. For this reason we need not accommodate them in our thoughts. As a matter of fact, the first time I signed up with a Direct Sales company, I did not make much sale. For one thing, at that time social media was not yet on stream. In general, the popular word of mouth and a house party were key to making sales. Of course I had my dose of myths which hindered many successes. Let me emphasize the importance of due diligence before you sign up with a company. What a myth. I can remember this clearly when I went to the first information meeting. Yep, “It is Easy Work From Home” seems to be a common statement. As a matter of fact, I was told to start off with friends and family because it is easier to sell products to them as well as recruit them. Then again, I also heard, “Anybody can do this.” Just get a few friends and family members and you are good to start.” Oh boy, this is so far from the truth. Friends and family are the first ones to remind you of all the negatives and make excuses. Assuredly, this is not as easy Job to do for everyone. For one thing, you need to make sure you are bubbly and people friendly. After all, making a first impression can very well end up in a sale. Think about these questions for example: Are you comfortable with face to face sales? Are you willing to have people in your house? Are you okay with networking? To be sure, check these before making a commitment and signing that form. These two words still ring in my ears. Friends and family never cease to let me know that Direct Sales is not real, that it has to do with scammers. Needless to say, recruiting them was the most difficult thing to do. Admittedly, they did purchase some products, but not on a large scale. Of course, they let me know that they are just helping me out for the start. Surely enough, they were never repeated buyers. Discover my realistic solution. Saying that the company is not realistic is indeed a myth. However, the true meaning is not really about the physical building itself. Rather, those two words are referring to the amount of money you can make. Another myth that can prevent success is to hear that you only make “hand to mouth money.” That’s what my friends say when you make very little money. Surely, this is far-fetched and is considered a myth. The amount of money you make depends on how you run your business. I remember a friend saying to me, “Too late, we are at the bottom, so there is no money in it.” The attitude is usually the one of can’t work for such little money. Obviously, sales representatives only get a percentage of what they sell. Unfortunately, that’s the order of the job, so we just have to work at it to earn more. Again, your approach to your business can determine success. As a direct sales representative, your goal is to earn money. Of course you are going to take the work you do seriously. The thought that the business is not yours stems from the fact that you did not start the company. However, that is very narrow thinking. Even though some else started the company, it doesn’t mean that you can not be a part of it. There goes another myth that should not be an obstacle for your success. Assuredly, you can start your own company as long as you have the idea. Like others, you can excel. I am always so impressed when I read the stories of how a company was launched. Remember that as a business owner, you will want to focus on best practices earning money. Get Inspired With this recommended book. For inspiration, you can read this “Direct Sales Success Secrets Book.” To explain, it is a best seller on Amazon and you can discover the “Success Secrets of a Million Dollar Party Girl. 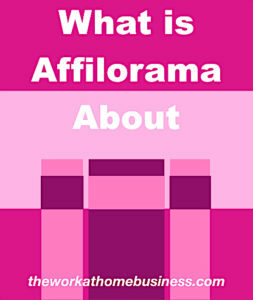 To be sure, if you are serious about being a direct sales representative, this is a must read. Accordingly, social media plays a great factor in business success these days, so the author has written Volume 2: “Facebook Party Secrets of a Million Dollar Party Girl (Direct Sales Success Secrets). In essence, Direct Sales is not a free business opportunity. It takes money to start up and there is the risk of losing it. I know quite a few people who started out and in no time discontinued. Right there, that’s a loss. Nevertheless, this does not happen to everyone who joins a company. Some consultants go on to earning enough to support the family. That of course is a win and not a myth. Reading this book can give you ideas on how to have financial success in this business. Clearly, this is not so much a myth. All things considered, when you sign up with a company, treat it as a job or better yet as your business. Overall, there are many others. Remember Believing These Direct Sales Myths Prevent Success. Rather than focusing on them, think about your goal for success. Indeed, you can make money with the right business approach. I think part of the problem with Direct Sales is that most of the people signing up as consultants think it will be easy and they don’t approach it as a business. As you say what is needed is that bubbly personality and determination to make it happen. Thanks for the book suggestions I plan on purchasing them. We certainly need to have a business in mind and treat it as such whenever we sign up with these opportunities. Hi Carol. Being involved in the online business industry now for well over a dozen years, your article was spot-on about the non-sensical myths associated with these type of opportunities that exist on the Internet. The absolute fallacy that running any type of business from home is – “Easy Work From Home”. In fact, it is the greatest possible lie promoted by scam online business opportunities out to naive people, and it’s been the case since the turn of this century, 2000, and perhaps even before that as the Internet has continued to grow over the years. The statement, “Easy Work From Home” is used to entice people into believing that working from home, trying to make money in a business is incredibly simple. The allure of working only an hour per day yet being able to eventually attain financial freedom is part of the great lie/myth. People, (suckers really) are provided with evidence, (fake) that many others who got involved with running a business from home, Easy Work From Home eventually all owned a million dollar house or fancy Porsche sport car, (both all paid for). Often accompanied by photos, (all fake) it has always been something that many people dream about and playing on their greed, the intoxicating glass of Kool-aid promoted by these fraud business opportunities. Yes, I myself fell for one – hook, line and sinker back in 2005. Easy Work from Home, set your own hours, be your own boss, let your computer do all of the work, make money even at 4 am as you sleep, etc., are some of the outrageous lies that still can be seen today regarding online money making/work from home business ventures all spread by bogus con artists who, truthfully, NO ONE should trust. Sadly, people across the world continue to fall for them despite the efforts of people like you, Carol who create legitimate articles and provide 100% proof that working from home in order to make profits in any business venture is definitely NOT EASY! This article should be required reading for people, many of whom sadly still do not “get it”! Well said. Thanks for the reinforcement. Oh how we wish we were knowledgeable about these things. Certainly, we would not get caught by the unreasonable heresies that some people like to promote.